Adding friends on Instagram is now as simple as scanning a photo. 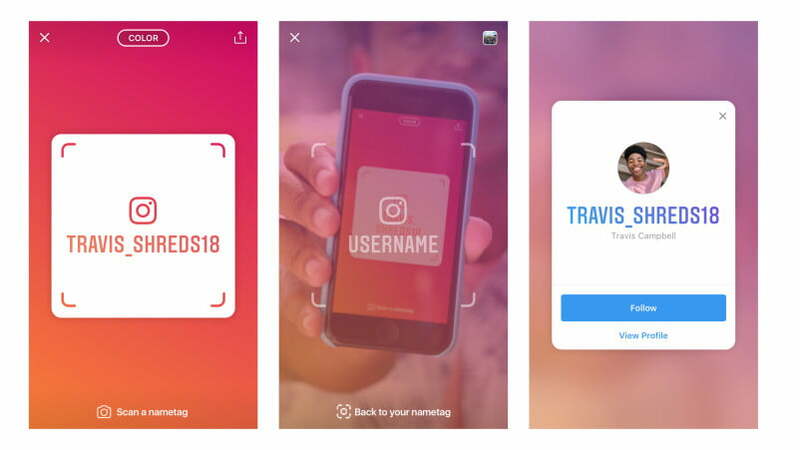 On Thursday, October 4, Instagram launched Nametag, a custom scannable graphic that allows other users to follow you by snapping a photo. The launch comes alongside Instagram’s tests directed toward school communities designed to connect college students. Scanning a Nametag works like reading a QR code — just point the in-app camera at the Nametag, press and hold the screen, and that user’s profile will pop up. Users can generate a Nametag by accessing the settings menu and choosing the Nametag options. Instagram allows the graphic to be personalized with a tap on the screen. Colors, emojis, and even selfies can dress up the new Nametags, which will also have the Instagram logo and username. Besides scanning with the Instagram camera, users can also tap the “scan a Nametag” option from the same menu where users design their own Nametag. Users can also save the images and send them through Facebook and WhatsApp by pressing the share arrow inside the Nametag menu. Instagram code earlier this year hinted at the Nametag feature. Instagram isn’t the first network to allow users to scan a graphic to find friends — Snapchat also gives users a unique graphic designed to simplify adding new friends on the platform with Snapcodes. Instagram is also testing a new way to connect with School Communities. The option allows users to add a school to their profile. Adding a school will also allow users to list their grad year as well as other details like sports teams, sororities, and your major. 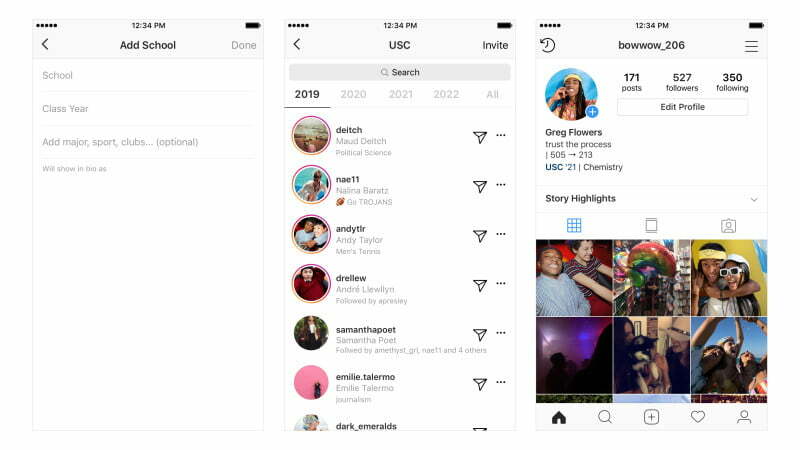 Instagrammers that opt into the School Communities will be included in a directory of all the students, which Instagram says is organized by graduation year. From that directory, you can follow or Direct Message users from the same school. Instagram says the tool follows the same guidelines as current Direct Messages — users can choose to accept or decline any messages sent from users that you don’t follow. The company says the tool is designed both for showing off school spirit and for connecting with other students and grads. While the Nametags tool is rolling out globally, the School Communities are, so far, just a test among a select number of colleges.